The world of facilities management today can be defined by a single word: dynamic. New regulations, increased pressure to be 'green', downsizing, mergers, acquisitions and expansions are the norm. 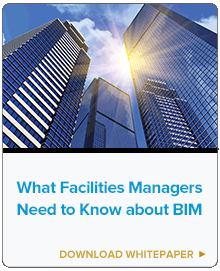 Facilities management professionals must proactively plan for these changes and make informed decisions about space that optimize ROI, increase enterprise-wide productivity and reduce asset life cycle costs. 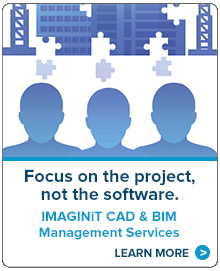 To ensure customer and stakeholder satisfaction, projects must be kept on time and within budget. Better tools and data are needed to lower operational costs. Information and analysis are key to managing space more effectively, minimizing move costs and optimizing maintenance resources. ARCHIBUS brings the necessary data together in a centralized online repository, providing informed decision-making. Strategic planning decisions aren't communicated effectively to front-line teams. Creating a strategic plan is a great first step towards more effective facilities management. All too often, however, teams responsible for doing the work aren't aligned with the master planning goals. With ARCHIBUS every user can access data that is applicable to their work. When everyone sees how their day-to-day tasks relate to the bigger picture, attaining your strategic goals is simplified. The budgeting process needs improvement. Robust budgeting processes result in defensible space management and maintenance budgets. ARCHIBUS maintains relevant building information in one place, so facilities managers can deliver data in a timely way across the organization. ARCHIBUS offers a variety of options to accommodate many organization's and stakeholders' needs. Talk with our team to learn more about ARCHIBUS, how you can link ARCHIBUS to various business systems, or to request an ARCHIBUS demonstration. Built within the Service Desk module, the Redlining Feature offers a great way for field teams to provide feedback on existing conditions and more. If the Room asset text in your ARCHIBUS drawings is inconsistent in size, position, justification or font, this tip will help you fix that. This how-to covers the Clean Building, Environmental Health & Safety, MSDS and Waste Management applications available in ARCHIBUS. Learn how to make your ARCHIBUS Web Central Portal look more like the rest of your organization’s branding. In the ARCHIBUS Smart Client there are two behaviors that occur when you try to input data through the keyboard. These two behaviors are active when using the three avenues available for finding, creating or adjusting data. The three places include Filter by Row, Create a New Record and the current Data. This how-to explores these issues. This how-to provides tips to help your XREF files in ARCHIBUS run smoother, cleaner and faster - especially when it comes to viewing, publishing and printing.